The Westridge Golf Club was designed by Robert Muir Graves. He has created an amazing layout for this par 72 golf course. It features more than 60 bunkers that protect the greens and fairways. The sloping greens, fairways and rough make players prepare mentally and instinctual to survive the test. The numerous water hazards also create an impressive challenge at this course. 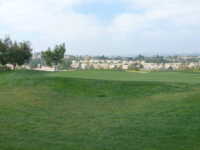 La Habra tee times can be made online or by calling the pro shop during working hours. The 6,590 yard course also fe eatures a 71.1 rating and a slope of 134. The course also offers a great driving range, carts, an on-site golf professional, GPS yardage assistance and a variety of food and beverages. The La Habra golf deals are perfect for golfers of all abilities, and this course really does create an inviting atmosphere and challenging golf for everyone. The club first opened in 1999, and it is very mature for its age. Westridge Golf Club discounts can be given throughout the year. You can find these discounts online, or you can contact the course to find the least expensive time to play. The Westridge Golf Club has so much more than just great golf. The banquet facilities encompass the prestige of the course by offering a venue for wedding receptions, anniversaries or other important life events.